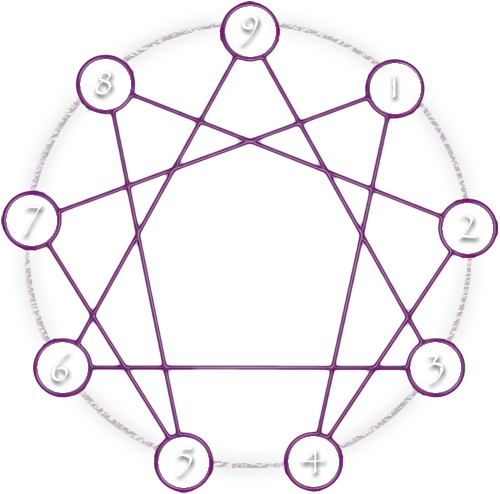 The nine types of the Enneagram can be further divided into three “triads” or groups of three, based on the primary centre of intelligence i.e. head, heart or body through which the world is primarily understood and reactions are formulated. Style 5, 6 & 7 are head centred types as they rely on thinking things in order to feel autonomous and safe in the world. They find their autonomy via rationalising, clarifying and through ideas. However, they have to be mindful of falling into over-analysis, analysis paralysis, or becoming fearful of taking action. Style 2, 3 & 4 are heart centred or emotional types as they rely on feelings in order to connect with others though being empathic with others. They find their autonomy via relationships, personal authenticity and image. However, they have to be mindful of becoming over sensitive, emotionally manipulating others or being insensitive to them. These centres are like complementary organs of perception that help us make sense of our environment and relationships. All of the intelligence of the three centres comes into play when we are making a decision. If all three are in agreement that the choice is right, the decision is easy. If there is conflict among the intelligences, we may struggle to ‘think it through.” Or we may decide against the move, waiting until it “feels right.” However, we may not be able to articulate why we chose as we did, if we are only aware of our head or mental centre as the intelligence behind our decision-making process. On the occasions that we have been aware of using the heart and gut centres’ abilities as part of our everyday life, we may have learned to discount them, to devalue their contribution, or to hide our reliance on them. As we learn the role of each of the centres intelligences, we may avail ourselves of their perspectives. The information derived from all three of these centres is vital to our becoming fully conscious and functioning human beings.